2019 Maruti Suzuki Alto 800 With BS6 Engine Launched From Rs…. Hatchback segment occupies the largest share in the Indian car market. Maruti Suzuki being the largest automaker in the country has a range of models in this segment, among which the Swift is one of the most popular car in domestic market. Its compact design, practical features, value for money, comfort on offer has made this car value for money in our country. 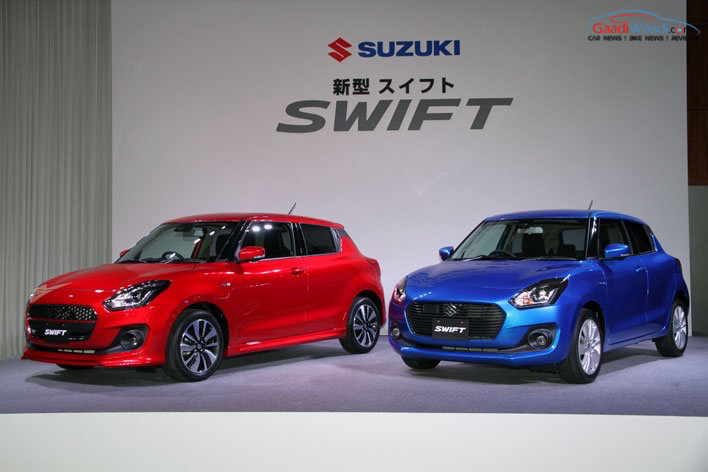 Now, the Indo-Japanese automaker is preparing to launch the new generation model of the Swift hatchback, which will make its debut at the 2017 Geneva Motor Show in March this year. Later it is expected to launch in the domestic market by November, 2017. The new generation Maruti Suzuki Swift incorporates more stylish design language and comes much more upmarket than the current model. On the other hand, Hyundai is the second largest brand present in Indian automobile industry. 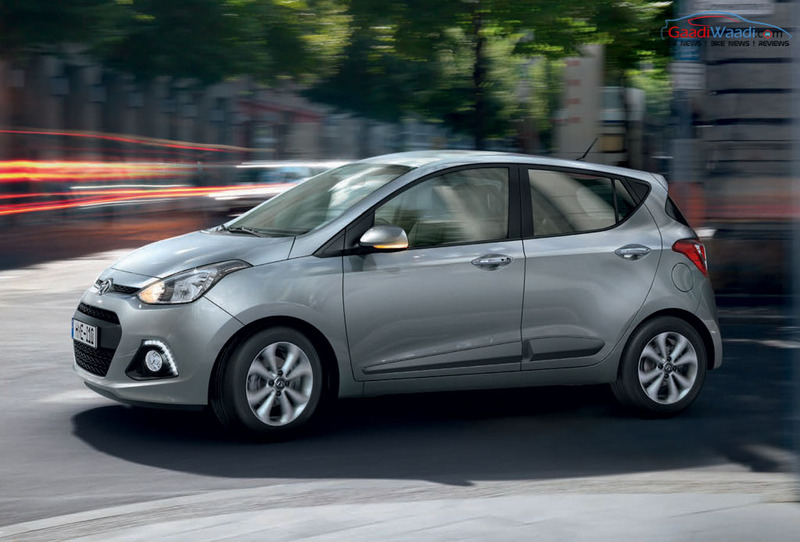 The South Korean auto major is preparing to launch the facelift version of Grand i10, which is one of the most popular products in the domestic market from the brand. It has been in business for quite some time and despite tough competition sales figure for this car didn’t slump heavily. Now the facelift version is set to come wearing a fresh design and looks way more stylish than its predecessor. Upon its expected launch in January 2017, the facelifted Hyundai Grand i10 could throw tough challenge to the next generation Maruti Suzuki Swift. Now, before these two hatchbacks face each other and lock horns in near future, let’s see a spec-sheet based comparison between them. Hyundai Grand i10 facelift sports a heavily revised fascia. It comes with a large front grille with dual round shaped LED daytime running lights positioned on the grille’s edges, which certainly enhance the appeal. Apart from that, the sharp swept back headlamps are there which looks similar to the previous model and the front bumper appears revised. At the side profile, this car boasts turn indicator integrated ORVMs, blackened alloy wheels, chrome finished door handles, Black molding on door and it runs on 15-inch alloy wheels. Rear profile of the upcoming Hyundai Grand i10 features integrated roof spoiler with stop lamp, rear glass wiper. Apart from that, the rear bumper has been updated as well. 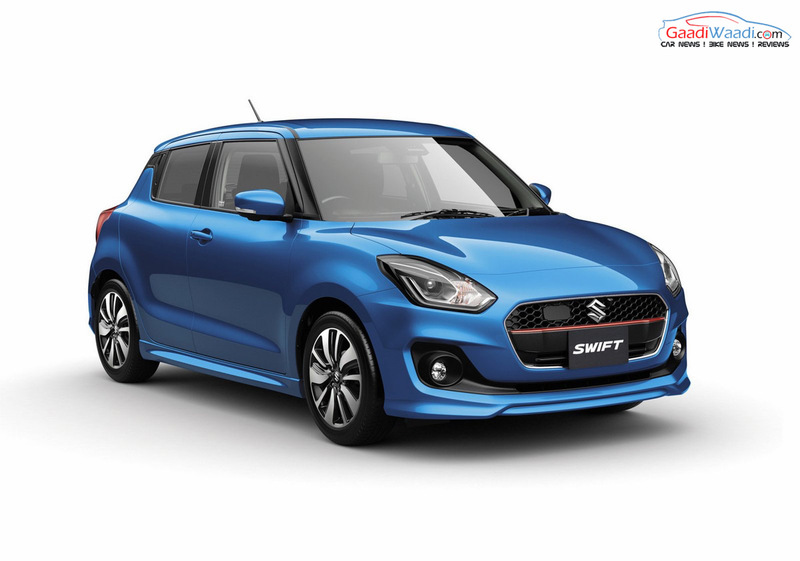 On the other hand, the 2017 Maruti Suzuki Swift dons a new refreshed look compared to the current generation model. The hatchback can be instantly recognised as the Swift, but the revised and more eye catching appearance grabs attention easily. It receives a new hexagonal front grille with sleek chrome bordering. The headlamps look sharper and get integrated LED daytime running lights. Front bumper has been revised as well and altogether the new Swift looks sportier than before. At the side profile, the 2017 Maruti Suzuki Swift gets sporty alloy wheels, blackened glass area, turn indicator integrated ORVMs. The rear passenger door handles are positioned at the thick C pillar, which is a design element seen in the Chevrolet Beat. The rear fascia comes with an integrated roof spoiler, compact taillights and a revised bumper. In terms of design, both the hatchbacks come pretty attractive looking and sporting stylish guise. Dimensionally, the upcoming Hyundai Grand i10 facelift could remain identical to the outgoing car. The existing model measures 3,765 mm in length, 1,660 mm in width, 1,520 mm in height and it has a wheelbase of 2,425 mm. Also, it comes with a ground clearance of 165 mm and a 256-litre bootspace, while it has a 43.-litre fuel tank capacity as well. 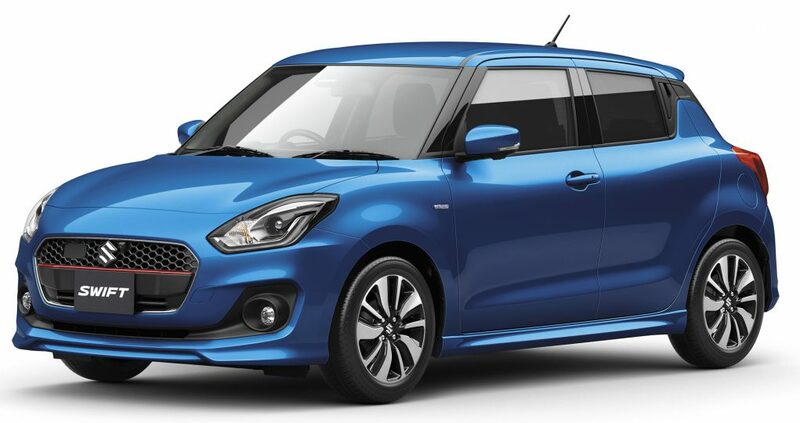 The present generation Maruti Suzuki Swift measures 3,850 mm in length, 1,695 mm in width, 1,530 mm in height and it also has a wheelbase of 2,430 mm. Ground clearance for this car is 170 mm, while it sports a boot capacity of 205-litre and a 42-litre capacity fuel tank as well. Expect the dimensional figures of the upcoming Swift to remain identical. So far, the new Swift is likely to come longer, wider and taller than the new Grand i10, just like their respective outgoing versions. The facelifted Hyundai Grand i10 features an attractive interior. It dons an impressive dual-tone colour theme complemented by upmarket quality seat and upholstery materials. A multi-function steering wheel, analog dials and a digital MID consisting instrument cluster, a 7-inch touchscreen infotainment system with Apple CarPlay and Android Auto, circular AC vents enhance the visual appeal inside the cabin. In terms of space and comfort also, it is expected to come impressive. On the other hand, the next generation Maruti Suzuki Swift also sports a new revised interior. Compared to the existing Maruti Suzuki Swift, interior of the upcoming model looks radically different. It features a three-spoke multi-function steering wheel, dual-pod instrument cluster with a digital MID, circular AC vents, improved buttons and dials, a touchscreen infotainment system and contrast stitching on the seat and upholstery give this car’s cabin a really attractive look. So far, the interior of both these cars appear impressive and attractive. Quality of the materials used inside the cabins and the design really make these two cars much more upmarket and sporty looking than their respective current versions. On the powertrain front, India-spec Hyundai Grand i10 facelift is expected to continue with the same 1.2-litre petrol engine and 1.1-litre diesel engine. The 1.2-litre Kappa petrol motor churns out 81 bhp of peak power at 6,000 rpm and 114 Nm of peak torque at 4,000 rpm. The diesel engine on the other hand kicks out 70 bhp of peak power at 4,000 rpm and 160 Nm of peak torque from 1,500 rpm. Transmission duty in the current model is done by a 5-speed manual and a 4-speed automatic gearbox. Expect these same units to be continued in the upcoming facelifted Grand i10 as well. The 4-speed AT is the cheapest automatic variant in Hyundai’s line-up at present. Upcoming facelifted model could get another automatic gearbox supposedly to be fitted to the 1.1 CRDI engine. Fuel efficiency of these engines could be improved as well. The 2017 Swift is very likely to get a new 1.0-litre turbocharged Boosterjet petrol engine alongside the existing mills, which is capable to generate 110 bhp of peak power and 170 Nm of peak torque. The current model comes with a 1.2-litre K-Series petrol engine and a 1.3-litre diesel unit under the hood. Expect both these engine to continue in the upcoming new-gen Swift. It is not sure, whether these engines will be tuned to produce more power and torque, but we believe the output will remain same in the India-spec model. The 1.2-litre petrol engine in Swift generates 83 bhp of peak power at 6,000 rpm and 115 Nm of peak torque at 4,000 rpm. The 1.3-litre turbo-diesel DDiS engine on the other hand is expected to continue kicking out 74 bhp of peak power at 4,000 rpm and 190 Nm of peak torque at 2,000 rpm. A Swift SHVS mild-hybrid with IGS (Integrated Starter Generator) is also on cards. For transmission duty, the 2017 Maruti Suzuki Swift will get a 5-speed manual gearbox and an AMT as well. The AMT would be available on the diesel variant only. Thanks to the new platform and efficient mechanical treatment, new generation Swift is likely to deliver improved fuel efficiency. The 2017 Hyundai Grand i10 gets safety features like reverse parking camera, reverse parking sensors, Lane Departure Warning, Front Collision Warning etc. On the other hand, the 2017 Maruti Suzuki Swift is expected to come with improved safety compared to its predecessor. It would get dual airbags as standard across variants, while it the car also receives ABS, reverse parking camera etc. So far, both the hatchbacks come with several advanced safety features. The Hyundai Grand i10 facelift is likely to be priced between Rs. 5.10 lakh and Rs. 7.31 lakh (ex-showroom, New Delhi). New generation Swift would be priced between Rs. 5.5 lakh and Rs. 7.5 lakh (ex-showroom, New Delhi). Therefore pricing of these two hatchbacks will be very competitive. 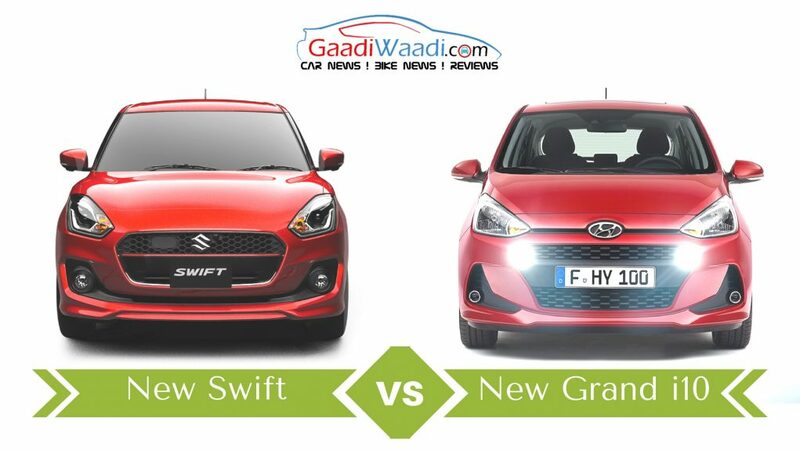 In terms of design, both the Hyundai Grand i10 facelift and the new generation Maruti Suzuki Swift come attractive compared to their respective predecessors. 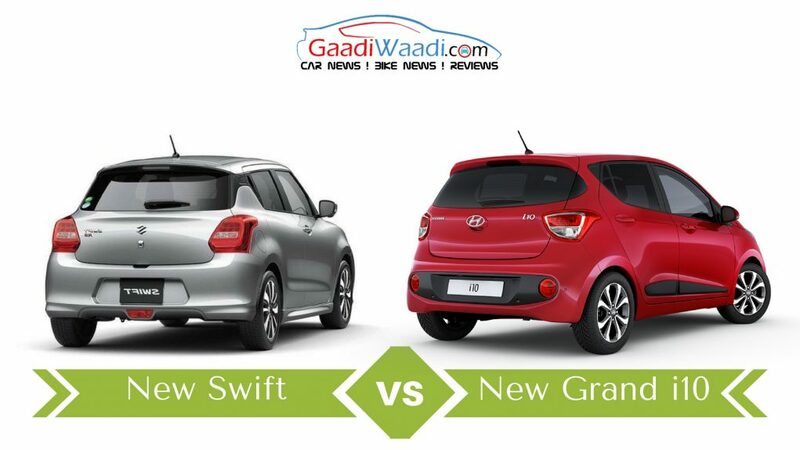 Hyundai has done a nice job with the new Grand i10 giving it a more upmarket look, while the next generation Swift dons a completely new front fascia changing its appearance. So far in terms of the design and style, no one is winner here between the two hatchbacks. 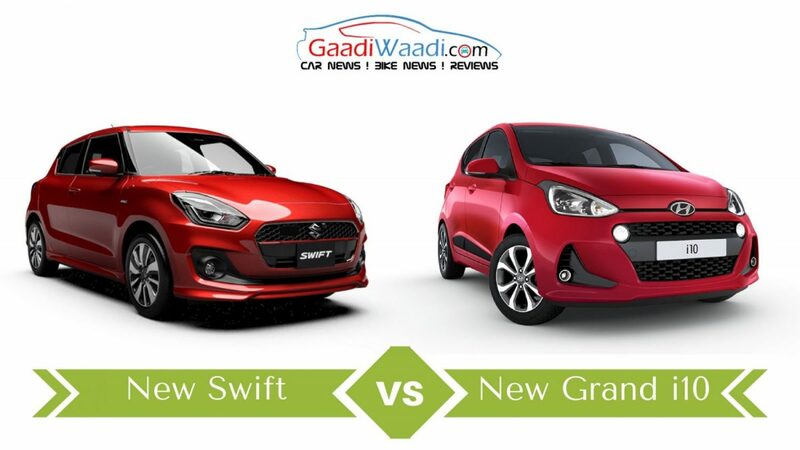 In terms of interior styling, the new Swift looks more appealing than the Grand i10 facelift. Its sporty design and refreshed upmarket appearance will play a crucial role, as the new age customers seek premiumness from their cars over mere practicality. Also, expect the 2017 Swift to arrive feature packed, which will surely appeal the modern urban buyers. On the powertrain front, both the cars generate similar power outputs. But, with a 1.0-litre turbocharged petrol engine Maruti Suzuki Swift gets the edge over Hyundai Grand i10, as it will deliver sportier performance than its rival. Also, the SHVS mild-hybrid technology enhances the car’s appeal further. Finally, the 2017 Swift will surely get advantage from the brand image the car (current generation model) cherishes now. 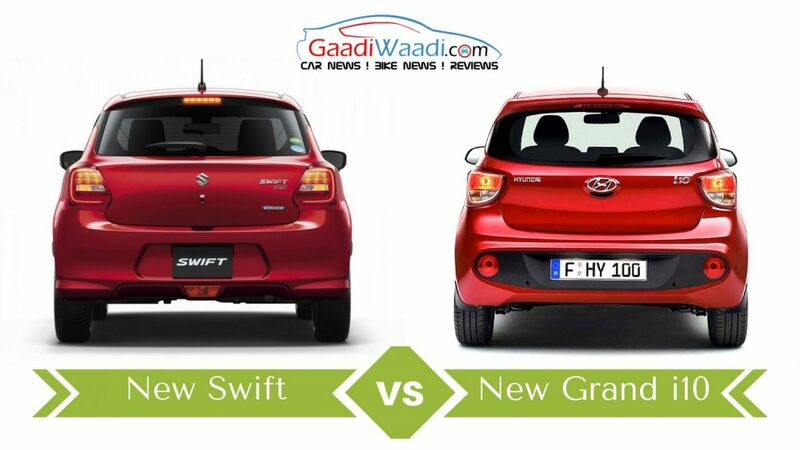 Despite a tough battle, the new generation Swift has better chance to win over the Grand i10 facelift.